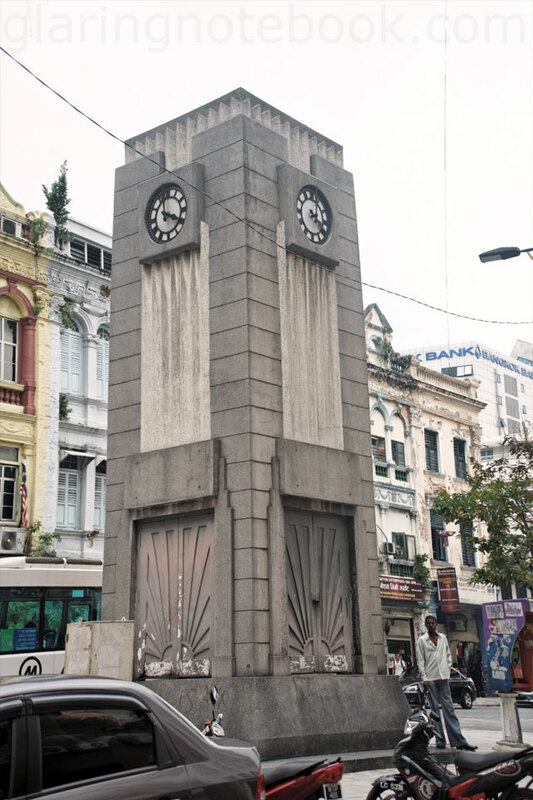 Kuala Lumpur, as defined by the bus conductors, is here, where the Clock Tower in Medan Pasar is. Note the foreign worker in the picture, representative of the current populace of that area. 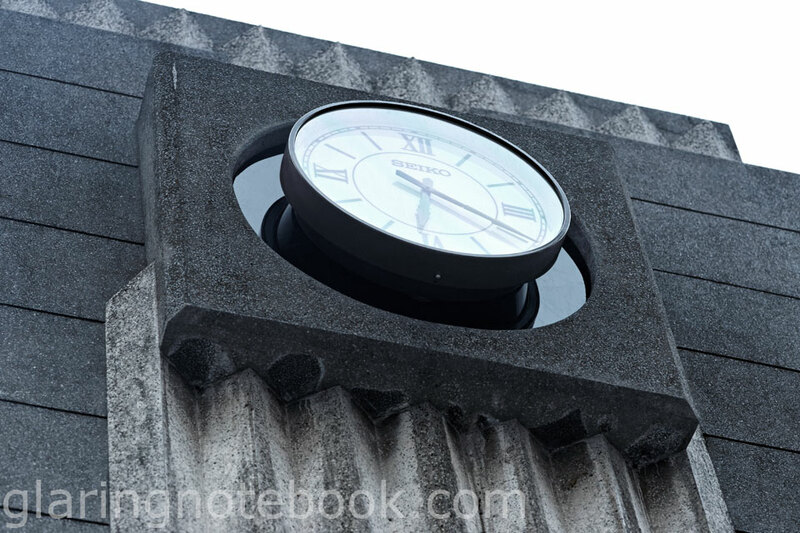 Here lies a clock tower, immortalized at 4 O’ clock. These pictures were taken on the 22nd of September 2012. (Edited 1st October 2012, 0054 hours, +0800 GMT) Fast forward to one week later, and surprise! New clocks! Notice the solar panel on top. (Edited 1st October 2012, 0054 hours, +0800 GMT) Here is one side. (Edited 1st October 2012, 0054 hours, +0800 GMT) The clocks appear to stick out now. All four sides look the same. Notice the block above the door, and four screw holes? All four sides have the same block with the same four screw holes. That is because it used to hold a plaque! I have not asked for permission for the following pictures, but am using them under terms of fair use. 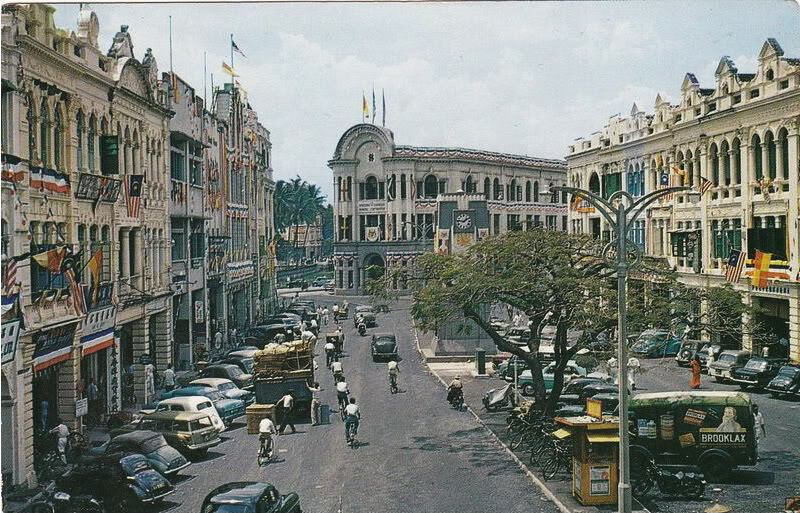 Yap Ah Loy was responsible for developing Kuala Lumpur from a settlement into a prosperous mining town, developing much of the land in Kuala Lumpur and owning over a quarter of all the buildings! 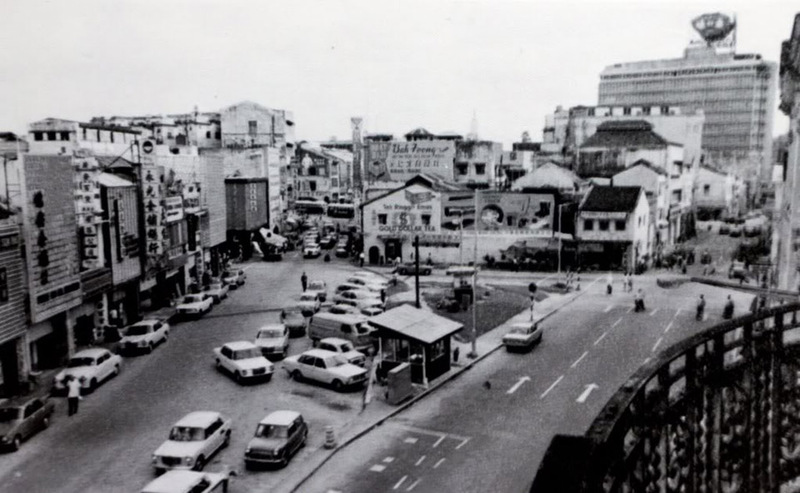 Coincidentally, this is the view from what would have back then been Yap Ah Loy’s house. Also notice that there was no clock tower! 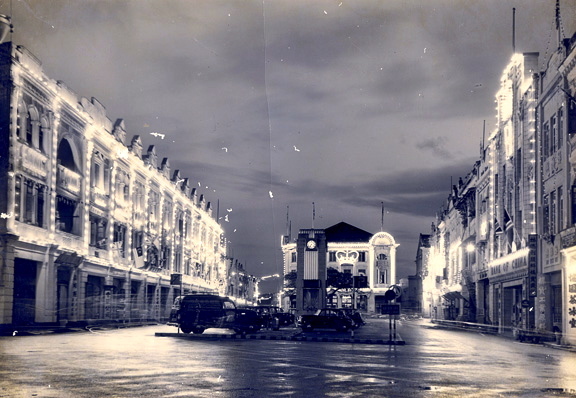 Old Market Square is Medan Pasar’s old name, because that’s where Yap Ah Loy’s large market and gambling sheds were. 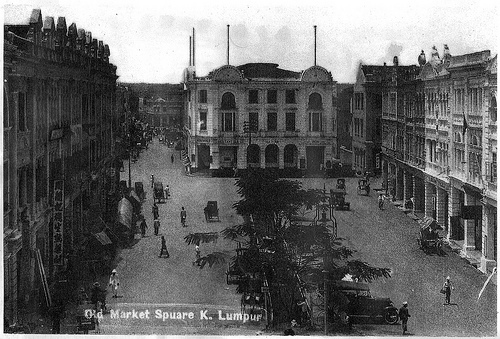 This was until 1882, when Frank Swettenham (the first Resident General of the Federated Malay States) wanted it demolished, citing health reasons, and that the site was state land, so Yap Ah Loy rebuilt the market place. 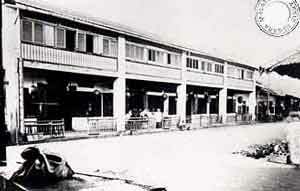 In 1885 when Yap Ah Loy died, the Government took over and moved the market to where Central Market is today. 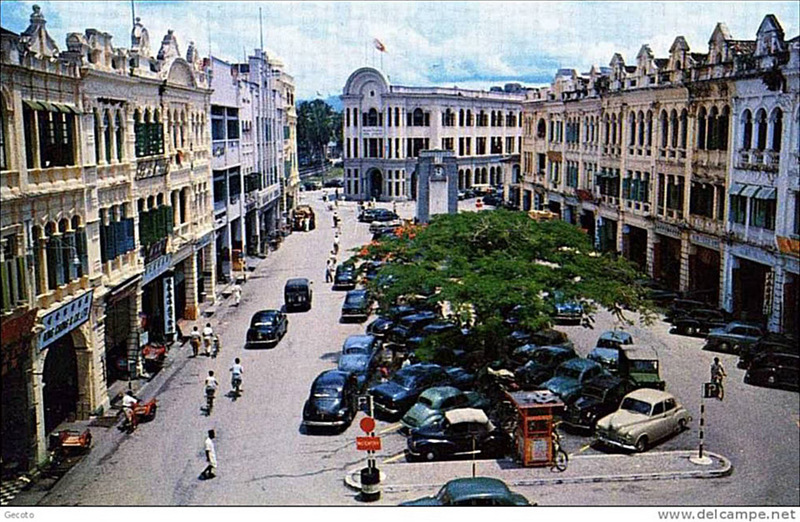 However, before the market was moved, it was referred to as Macao Street or Hokkien Street by the Chinese. 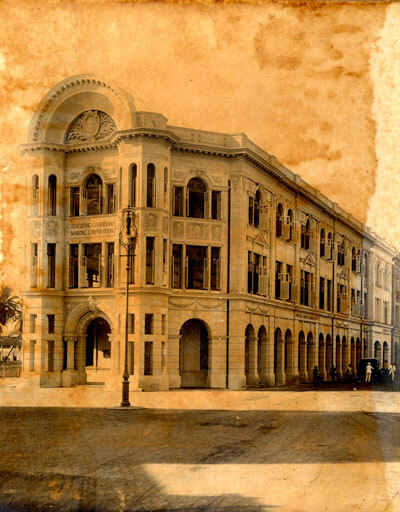 From the postcard above, you can see in the middle, Hong Kong Bank, opened 1914, unfortunately demolished at the beginning of the 1970s. It is now called HSBC Bank. 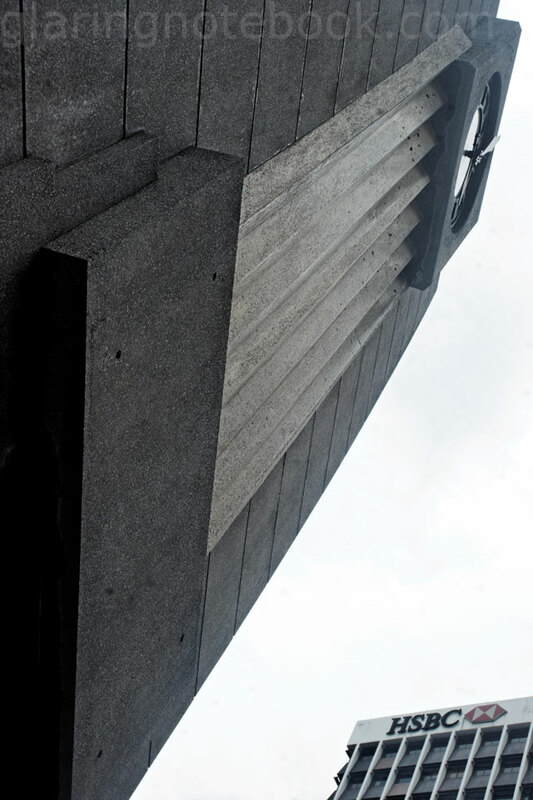 Photograph taken from HSBC Group Archives, and found from a website describing its architect, Philip Charles Russell. This picture is labelled to be taken in the 1940s. Notice the plaques! 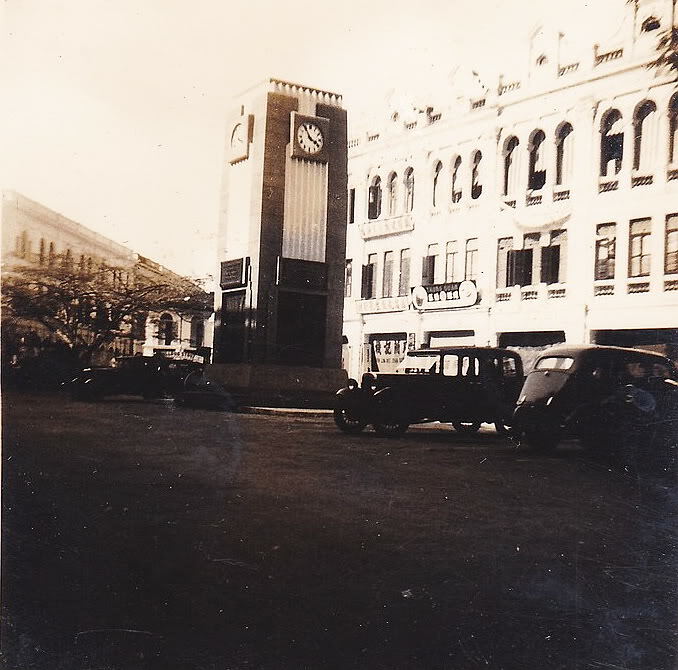 The Clock Tower was built in 1937. 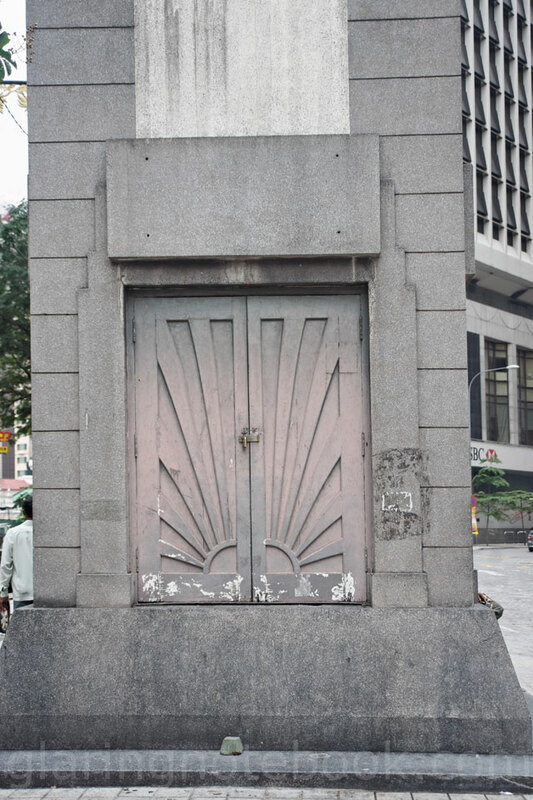 The plaque states that the Clock Tower was built to commemorate the coronation of King George VI (Queen Elizabeth II’s father, the current Queen of the Commonwealth realms.) Well his name was really Prince Albert Frederick Arthur George, the Duke Of York – George was his regnal name, a name he took upon becoming king. So where did the plaques go? I am extremely curious as to what the plaques actually said – I imagine it would be written in classic, bombastic British English. I also feel somewhat sad that the Clock Tower becomes somewhat meaningless with the plaques removed, almost a kind of disrespect to the person it was commemorated for. 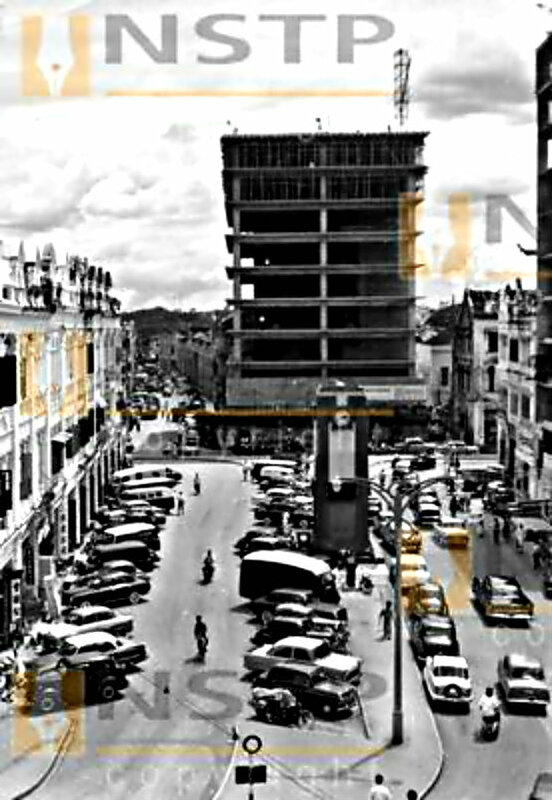 This picture is labelled 1950s. 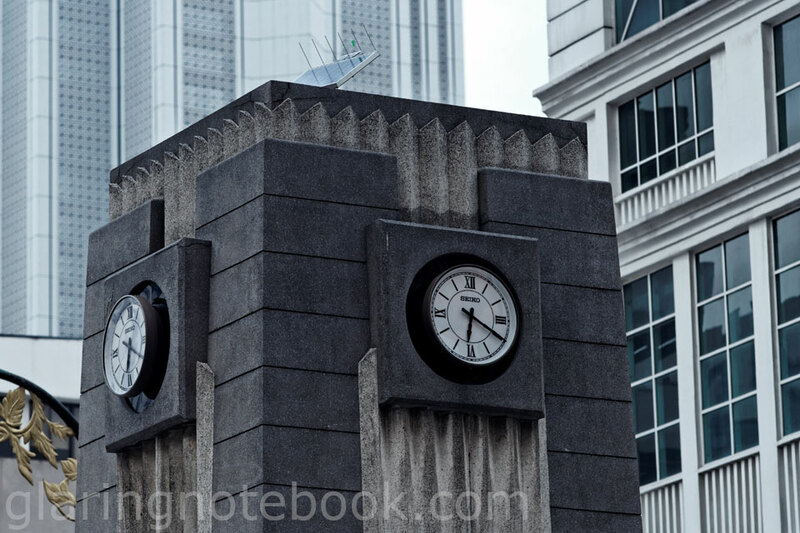 I have to say, I really liked how Hong Kong Bank looked. 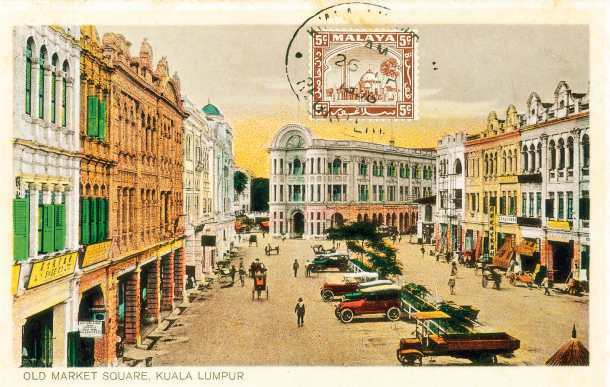 Yap Ah Loy’s houses on Market Square, Kuala Lumpur 1884, taken from Arkib Negara Malaysia. And now, for a picture facing the other direction. The filename indicated that this was taken in the 1900s, but I’d say anytime after 6 May 1913. The filename says 1900 but I’ll assume anytime after 1937. Note the Bank Of China and the Clock Tower. Notice that Bank Of China had become Bank Of Tokyo, Ltd.! 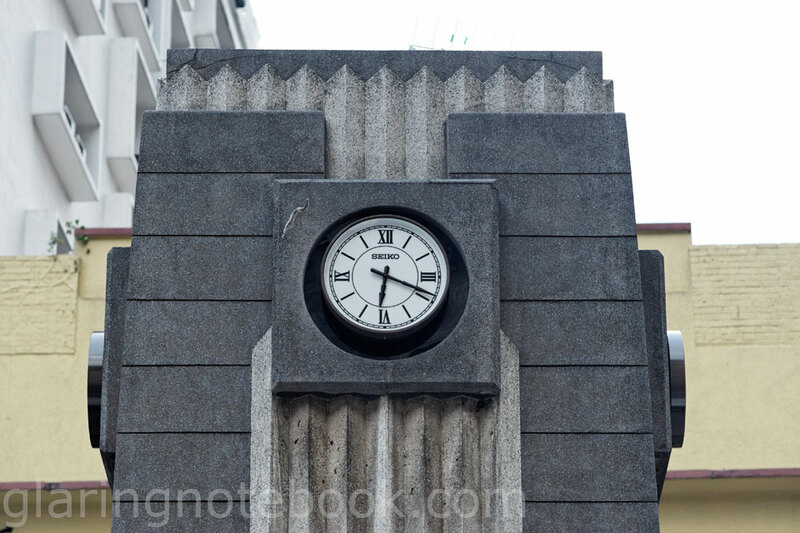 What a beautiful Art Deco facade. 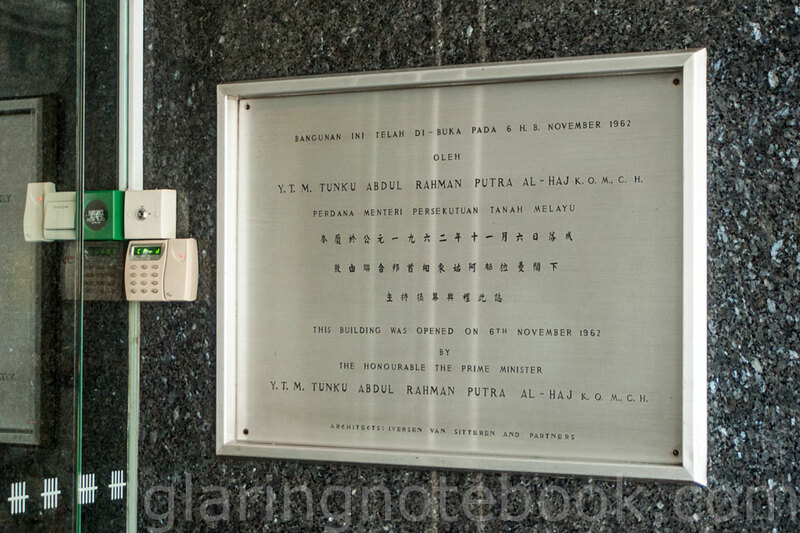 It could not have been anywhere before October 1957, when Bank Of Tokyo, Ltd. opened their first representative office in Malaya. 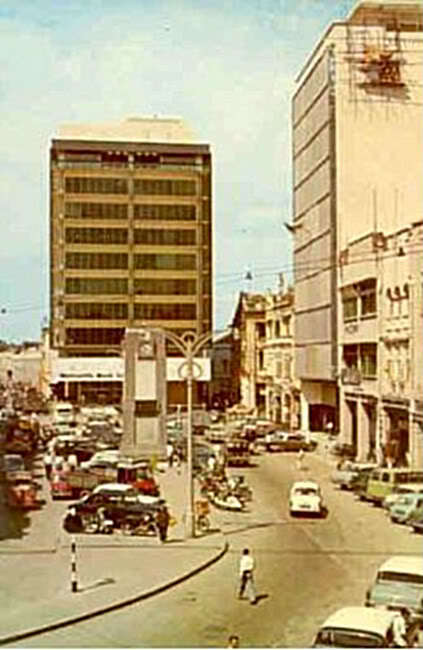 The filename says it was taken in the 1960s, which might be a mislabelled picture, unless it was before May 1961 that both the 1961 Mercantile Bank and Lee Wah Bank were built. 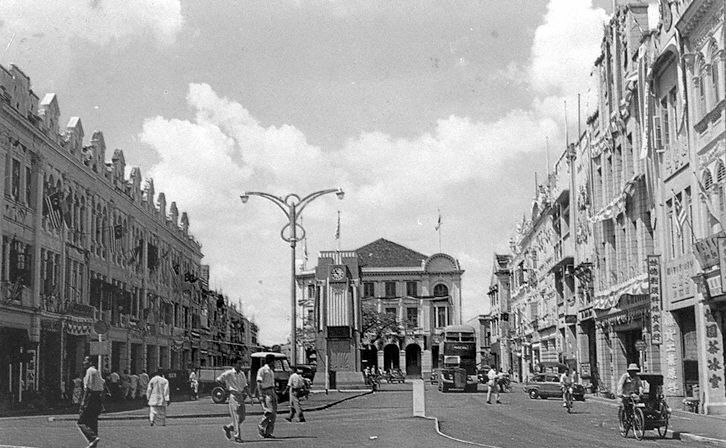 Assuming the Federation Of Malaya flag was only flown after 31st August 1957, and that Bank Of Tokyo, Ltd.’s first branch was here, and Bank Of China is still in the picture, that this picture was taken between 31st August 1957 and October 1957. I’m not sure of the chronology of events either, since the Hongkong And Shanghai Banking Corporation Limited (HSBC) had acquired The Mercantile Bank in 1959! The label says 1980. Lebuh Pasar Besar is nearby Medan Pasar, and is often referred to by buses as Bangkok Bank due to the Bangkok Bank nearby! 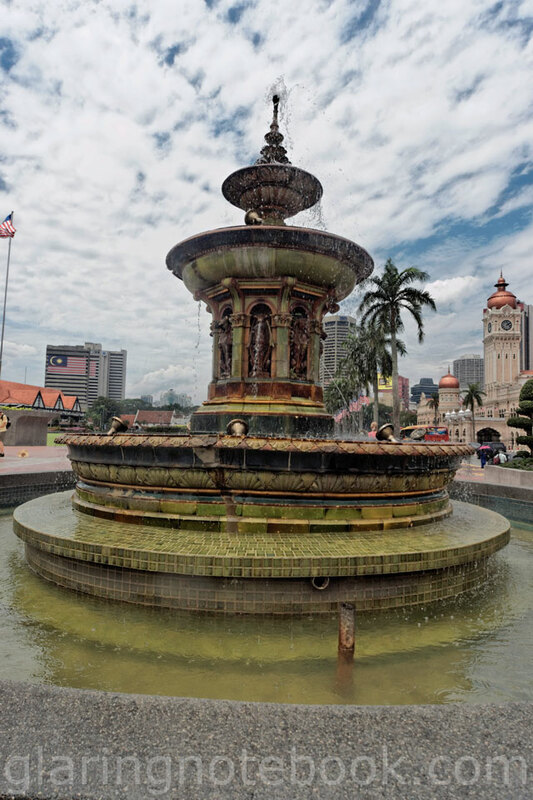 Apparently, the Victorian Fountain found in Dataran Merdeka, used to be in Old Market Square as well! I have not seen any pictures that show it in its old location, though. This entry was posted in Pictures, Rants, Travelling on September 30, 2012 by 2konbla. I loved the historical walkthrough of this post. 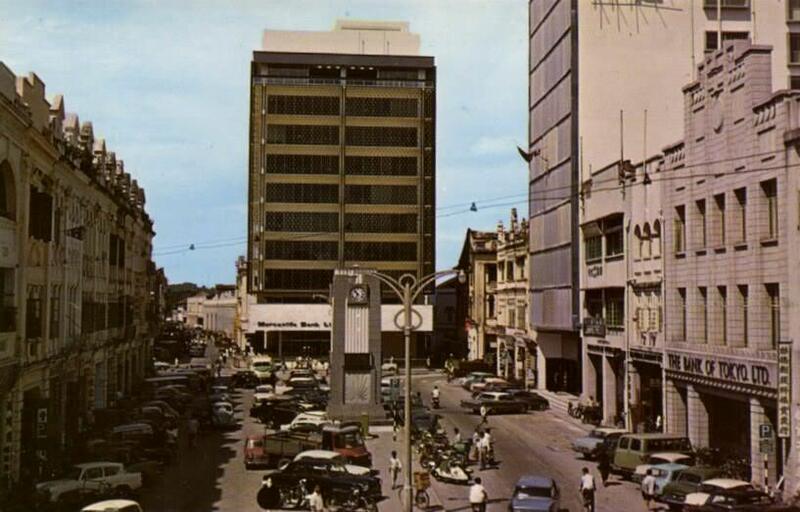 I’ve always wondered about the old KL and were always captivated by the old pictures of KL. To my shame, I seldom ventured into the &quot;Bangkok Bank&quot; area. I still remember mini bus conductors yelling out &quot;Bangkok Bank! Bangkok Bank!&quot; when telling passengers of their destination. I mostly go around the ‘newer’ parts of KL such as the KLCC area and hate to drive into town because of the traffic jam. I know that KLCC used to be a race-course. Would be great to be able to find pictures of what it looked like back then. Waifon: THANKS! More to come, including from the 1971 floods. shootkk: Thanks! Yes there are pictures of the race course.